A wave of interesting new game projects hit Kickstarter just after Gamescom 2015, and we’ve decided to launch the new interview section of the site by contacting the creators. Today, we’re presenting you the first in a series of exclusive interviews. We were able to chat with Arik Helman, CEO & Game Designer of Larkon Studio, about CivCraft Legends of Ellaria. This is a really ambitious project for an indie developer. CivCraft is designed to be a hybrid of FPS, RTS and RPG elements within a sandbox environment; players will be able to switch between first person mode and RTS mode at any time. Civcraft has been already Greenlit on Steam and it also has surpassed the minimum funding goal on its Kickstarter campaign; with 30 days to go, the team is now focused on reaching as many stretch goals as possible. The game will launch first on Steam Early Access, but PlayStation 4 and Xbox One releases are also planned eventually. Although CivCraft Legends of Ellaria is a unique concept, many of our staff has played hundreds of hours of Skyrim, Total War series, Minecraft and Mount & Blade. The inspiration came from asking ourselves “what would be a really cool game to play”, and evolved into a full game design. Since then, we received remarks, suggestions and positive feedbacks from the community we gathered during our development, and are very excited about the results. Will it be expected of players to constantly switch between FPS & RTS mode in order to successfully complete the story? It won’t be mandatory to play in FPS, and it won’t be mandatory to play in RTS. When you’re in FPS, you can tell your armies to move and attack by themselves, and tell your advisor to expand the city by his own. When you’re in RTS, you can resolve most issues from your RTS menu, and experience a more “Total War Series” type of game. You can even send your recruited heroes to take quests on your behalf, but will have to choose which one is best fit for the job. We’ve made sure that you won’t be bogged down with unnecessary learning and gameplay modes, and play CivCraft however you want. You mentioned that Ellaria, the world of CivCraft, spans for over 450 square KM, which is almost ten times than the biggest open world games available right now. Is the world fully seamless, and are you using some kind of procedural generation to ensure that it’s not empty of content? Actually, there are games out there with much bigger terrain sizes, since game terrains are usually measured by how far you can walk and how big the terrain is according to your character. Having said that, We’ve built our terrain around an actual terrain from Nepal, including rivers, mountains and terrain detail, and shaped that terrain to be magical and unique. Since then, our development involves around adding more special locations in Ellaria, as well as adding a unique feeling to it. We admit that not all the terrain will be open during the Early Access, but the terrain will grow from update to update. 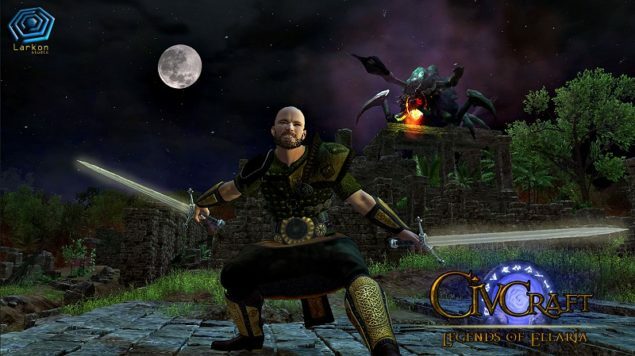 The Kickstarter campaign suggests that it’s possible to go adventuring on some quest and leave the subjects to expand the kingdom; it’s also stated that citizens will react to the player character. Can we expect to see some NPC starting a riot/revolution while the player is gone, for example? We can expect citizen to start a riot even when you are in the city, as well as enemy spies inciting the citizens against you (in the espionage pack). As the king, you have an alignment system that affects your citizen. If you are good, you will have to keep a prosperity in your kingdom, but if you are evil, you will have to scare your citizen into submission. We have great quests that are related to your kingdom, as well as to your alignment system. How will multiplayer work in CivCraft? Is it going to be campaign based coop mode? Multiplayer will have several types, but the main one will be an open world free play, were each player receives his terrain and can build his kingdom. Depending on server rules, you can invade another kingdom and create an empire, or visit other player’s kingdoms and move freely through their lands, just as long as you don’t have an army at your back. For large servers, some players will be kingdom-less and will work to establish their reputation. The server will be persistent, so you can log out and return freely without restarting your kingdom. We’re hoping to include the multiplayer as soon as we can, since we think it will be a very popular gameplay mode. Do you plan to implement an important stretch goal such as “Immersion” for graphics and animations during Steam Early Access, regardless of reaching these goals on Kickstarter? Yes, we do. We’re already working on our graphics and on minor features that will level up CivCraft. These features are slower to develop without the Kickstarter goals, so we can’t know when will we include them yet. You’re using Unity 5. Are you going to implement the latest engine features such as Physically Based Shaders and Real-time GI by Geomerics to improve CivCraft’s graphics? Yes we will. Since Unity 5 came out, we were excited with the new abilities we’ve reached. Unity 5 offered great improvements over previous Unity versions. We’ve even implemented the SpeedTree and terrain blending, and you can see some of Unity’s latest technology in our videos. Since the full game is coming out next year, do you intend to add DirectX 12 support in 2016 to offer enhanced performance to all Windows 10 players? What do you think of the new API by Microsoft? We’ve started with DirectX 9, and upgraded to DirectX11. Since then, we’re constantly upgrading to the latest technology. CivCraft is built for modding and so is very generic and easy to upgrade, so we’re sure we’ll keep up with the latest technology. The Kickstarter FAQ confirms that CivCraft is eventually coming to PlayStation 4 and Xbox One. Can you give a time frame for that? Is it going to be significantly later than the full release on PC? The time frame depends on our success, since the only thing that is keeping us from adding console support is licensing and a little coding. Unity 5 supports cross platform, and it’s quite easy to make playable versions on multiple platforms. Thank you for your time, and good luck.